It’s an exciting time in which we live, with an amazing array of interfaces and ecosystems offering up new ways to connect and converse with customers. In the world of digital marketing, frontiers are shifting as technology becomes more ubiquitous and our relationship with digital devices ever more personalized. Behind every remarkable and successful connected customer experience – from mobile payments at Starbucks to prescription refills at Walgreens and movie viewing on Netflix – you will find a deep organizational commitment to building a secure, scalable, and unique digital experience platform that truly reflects the native capabilities, competencies, and assets, both online and offline, of each individual company. To develop innovative business models requires a Digital Experience Platform that can handle every interaction of consumer engagement across an ever increasing number of touchpoints – mobile, tablets, laptop, wearables – while maintaining brand identity. Building a platform for the Digital Experience places new demands on your CMS, ecommerce systems and the functional requirements of data. Historically, content management and ecommerce acted as two separate but complementary systems which performed separate but complementary tasks for separate but complementary departments. 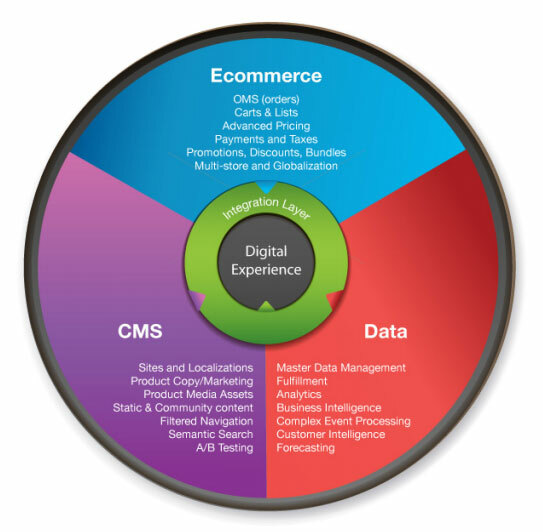 The Digital Experience is no longer about building web pages and storefront checkout. Instead, the ability to place laser-focused points of monetization along the customer journey is required, such as embedding a fully transactional ski promotion – one where the customer can select dates and book the holiday – without leaving the experience of the digital magazine. As such, requirements gathering transcends the previously siloed nature of ecommerce and content management, and should now include the widespread and integrated demands of digital and omni-channel. For example, requirements for publishers might include dealing with royalties, digital rights, modular content monetization, plus multiple businesses that are independent yet interconnected. Complexities will arise with product information because some product information plays a part in the ecommerce transaction, and other product information that has nothing to do with ecommerce, but is very important to the customer experience and purchase decision. For retail, it may encompass the omni-channel journey across the offline / online divide, and the challenges of maintaining a cohesive customer profile, such as being able to recognize a customer when they walk into the store and knowing their previous online purchases. Real-time Complex Event Processing, in which a series of “if this then that” data calculations automatically return desired content, pricing or promotions based on particular actions or specific interests of the consumer. Prior to the rise of omni-channel and the Digital Experience, ecommerce systems were by default silos of their own data. While many companies fed purchasing and profile information into the data warehouse and utilized business intelligence tools for a business-wide view, the new Digital Experience forces the need to embrace a new holistic approach to data called Master Data Management. MDM allows for the same data available in ecommerce system to be available on the web, in-store and in the call center. Solving master data management in context of CMS and ecommerce is a starting point that will enable a seamless customer experience across non-web touchpoints. The creation of new business models, campaigns, promotions, offers and products, and a seamless customer journey across all touchpoints places an increasing importance on the quality of connections interconnecting your back end systems, and whether or not they aid in making data digestible for your front end systems. For more information on the essential role APIs play in the Digital Experience please visit How Ecommerce APIs Drive Digital Experience. As enterprises prepare their platforms for the Digital Experience, expect roles to change and areas of responsibility to shift. Look for the rise of Chief Digital Officers and Chief Experience Officers as owners and arbiters of the Digital Experience Platform. Also look for the changing role of the Chief Marketing Officer. In the era of Web Experience Management marketers only had Acquisition and Engagement to worry about. 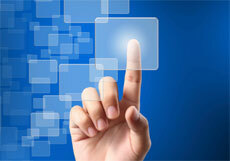 With ecommerce functionality now embedded within the CMS, monetization is within their reach. As such, marketers will require tools that are more powerful and far-reaching than ever before to create highly personalized and contextualized offers. These tools need to be easy to use, surfacing the functionality of backend systems while hiding the complexity. For more information on how to architect your Digital Experience Platform, please check out the Building Tomorrow’s Digital Experiences webinar and Three Pillars of Digital Experience white paper.